Symbiosis Indore MBA (BFSI) Admission process for 2018 has been started by the Symbiosis University of Applied Sciences (SUAS). SUAS is a Private University approved by Government of Madhya Pradesh under the provision of Madhya Pradesh Niji Vishwavidyalaya Adhiniyam 2007. Symbiosis Indore offers 2 years MBA program in Banking, Financial Services and Insurance Management. MBA (BFSI) program offered in BFSI is designed to enhance the knowledge of the financial market and its implication on the financial sector. This MBA program will help to the students for developing a strong skill set attributed to Banking, Financial Services and Insurance Sector. Candidates who are willing to join Symbiosis University of Applied Sciences MBA programs must appear for the Symbiosis Applied Entrance Test (SAET). The University offers also offer short-term skill-based courses as well as degree programs in high-growth sectors of Automobile, Construction, Manufacturing, Retail, IT, Banking & Finance. Eligibility for Indian Candidates: Candidates must complete Graduation with minimum 50% marks for general (open) category and 45% marks for students of SC and ST category. 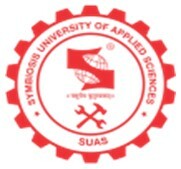 Candidates aspiring to join MBA programs offered by Symbiosis University of Applied Sciences (SUAS) have to appear for the Symbiosis Applied Entrance Test (SAET). Eligibility for NRI/ International Candidates: Candidate who has completed 12th (10+2) or equivalent examination from any Foreign Board must obtain an equivalence certificate from the Association of Indian Universities (AIU). All foreign qualifications need to be verified by Association of Indian Universities (AIU) by the candidate before seeking provisional admission to any program of Symbiosis University of Applied Sciences. STEP 1: Registration: Register on www.suas.ac.in under Apply Online by creating a New User for which the following details would need to be entered Name, Contact Number and Email id. Create your own password and re-type the same for confirmation. STEP 2: Login: Log on to Apply Online Portal with the login credentials which are the email id and password created in Step 1 above. STEP 3: Personal Details: Candidates have to fill their Personal Information, Parent / Guardian Information. STEP 5: Upload: Candidates have to upload the scan copy of Passport size photo, Government Identity Proof and Signature. STEP 6: Payment of Application Fee: Candidates can pay the application fee through Online Banking. (Download a copy of the same, and carry a print of the same for submission at the time of Counselling). The candidates can fill the application form online after successful payment of the application form. The SAET Application Form can be submitted through online mode only. The candidates need not send the application form or any other document to the university. Once the Application form has been submitted Students will be allowed to Book the Entrance test. The candidate is required to pay academic fees for the 1st year and other applicable fees in full at the time of admission. If a candidate fails to pay fees within the timeline specified by the University, he/she will lose his/her claim for admission. Payment must be made in Cash or by Demand Draft. DD to be drawn in favour of “The Registrar, Symbiosis University of Applied Sciences, Indore”, payable at Indore. Kindly mention in Capital, Complete Name, Mobile Number, Postal Address (with salient landmark) & Pin Code. The candidates will be selected on the basis of Merit which will be decided on the Score of SAET and GD & PI. Appearing for SAET test does not mean, that student has the right to admission. Basic Eligibility Criteria would need to be met. Students fairing well in the SAET entrance test shall be invited for Group Discussion and Personal Interview (GD&PI) conducted at Symbiosis University of Applied Sciences.